Grilling out in the backyard is summertime tradition. Standing out there with the kids or a few friends, with a beer or a glass of wine, is a great way to spend a beautiful summer evening. Whether you like dogs and brats, steaks and ribs, or you’re into some fancier gourmet fare, grilling out can make some tasty food. When it comes to grilling, there is a perennial argument: what sort of grill is best. Gas has lately become the more popular grill, though traditionalists insist there is nothing like the smoky flavor of cooking over charcoal. Electric grills are less popular, but there are some situations where gas and charcoal aren’t options. Using each is a little bit different than the others. If you decide to go from gas to charcoal, there is a learning curve. You should expect to burn the first meal or two. But, it might sometimes be worth changing. 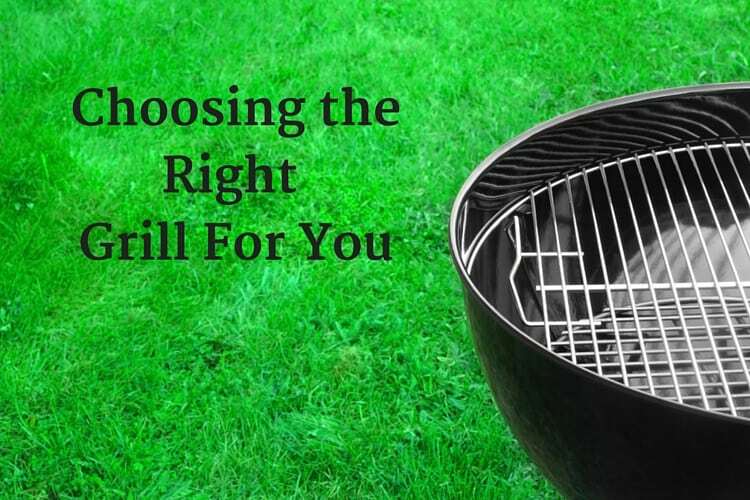 Which you choose is going to depend on your needs and what you’re looking for in a grill. 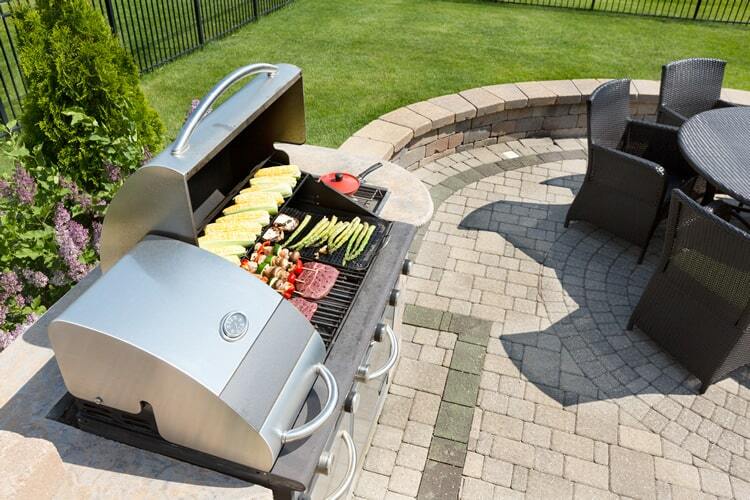 There are more gas grills out there than any other type. They are larger, and generally need more room to operate safely. They need a hook up to a natural gas line or propane tank to work. Because gas burns quick and hot, you can be ready to cook in a few minutes with a gas grill. Gas grills usually burn at a lower temperature than charcoal grills. That’s not actually that big of a deal. For most purposes, it will still get much higher than you really need. Some grills will have special searing plates that can get much hotter if that’s what you’re looking to do, but just for grilling burgers and steaks, a gas grill gets plenty hot. The big criticism of gas grills is actually not that bad. The gas burns extremely clean, and so it imparts very little flavor to whatever you’re cooking. Gas grills will not have that smoky flavor that a lot of people expect from grilling. The upside is that you will taste the meat and seasonings more than you would with a charcoal grill. 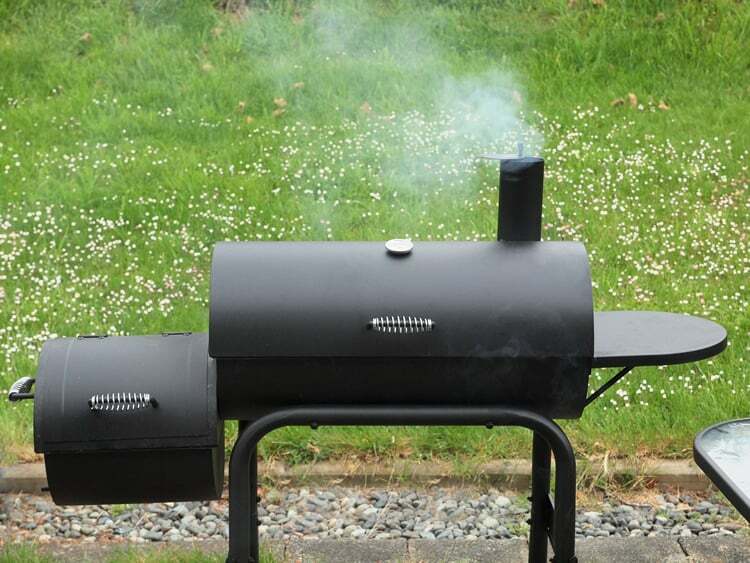 Gas grills can be more expensive than charcoal grills. You can essentially spend as much as you want on a fancy grill, with the option to include add-ons like rotisseries, side cookers, tables, storage cabinets, and any number of other things. They are easier to clean and maintain. Gas is theoretically a little dangerous, as the gas can theoretically explode. However, it is usually pretty safe to use. Unless you’re doing something that is obviously a bad idea, you’ll probably be fine. If you’re looking for a simple, easy way to grill out from time to time, a gas grill is probably what you’re looking for. When you think of a charcoal grill, that domed Weber grill out bake where you’re dad is using too much lighter fluid, you’re thinking of a charcoal grill. This is the traditional way of grilling, over coals that give the meat or veggies a unique, smoky flavor. Charcoal grills need more time to get set up and ready for cooking. The coals need to be started, and it can take a while for them to get hot enough for cooking. And once you’ve cooked your food, the coals are still on fire. They will burn themselves out eventually, or you can dowse them. Dowsing them can damage the grill, though, and in any case you should expect to spend more time with a charcoal grill. Another potential downside of charcoal grills is that they can burn at much higher temperatures. If used properly, this isn’t a problem. However, while grilling over charcoal will give the food a nice smoky flavor, it will also dry the food out. Gas grills will not dry the food as much. While there is an open flame with charcoal grills, they can actually be safe if handled properly. They required less room than gas grills, and there are also a bunch of options for portable charcoal grills. They can also be less expensive than gas grills, though the cost of charcoal, over the life of the grill, will probably cancel out the savings. There is one consideration that may make up your mind for you. Charcoal grilling produces char, which is a known carcinogen. While the actual effects are not fully understood, it can increase your chances of cancer. If you grill out frequently, the effects can add up, and you may want to get a gas grill. Electric grills are essentially like a less powerful version of an electric stovetop. They require electricity to work, and they generally don’t get as hot as either gas or charcoal grills. 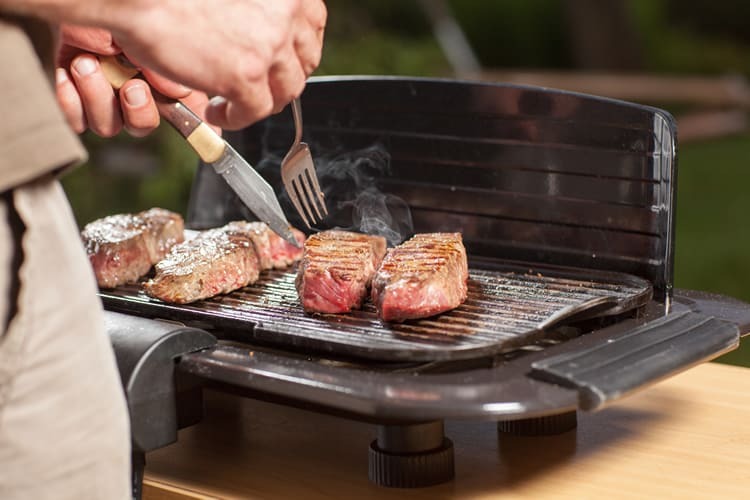 While the gas that’s not such a big deal, electric grills generally have to stay less hot to prevent problems, which can make it difficult to cook on them. Electric grills obviously won’t have any sort of smoky flavor. Some may start up immediately, but others can a little time to warm up to cooking temperature. There is no open flame so they can be used in places where you wouldn’t want to use gas or charcoal grills. However, unless there is some reason to stick with electric, you’re probably better off with either charcoal or gas grilling. In a way, your choice of grill should match your personality. If you like to get right to cooking, and then right to eating, a gas grill is probably the way to go. If you don’t mind a little bit of a wait for a slightly fuller flavor, then maybe charcoal is for you. In either case, grilling is a great way to spend sometime outdoors. Even better, it makes for some very tasty food. It’s good to know that a gas grill burns clean. I prefer to be able to taste the seasonings on my mean rather than the grill they were cooked on so a gas grill sounds like a great idea. I have a few friends that have a gas grill, I might ask them if I can cook some meat on it so I can get a feel for using a gas grill before I purchase one.